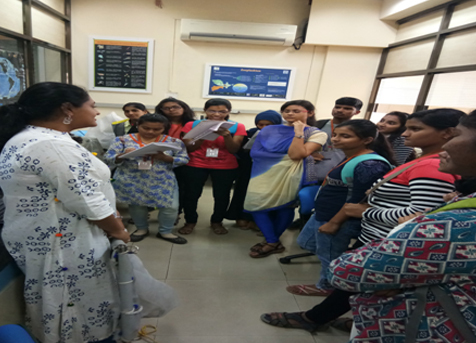 • On November 18, 2017, a visit to the ATC lab at the National Facility for Biopharmaceuticals (NFB), G.N.Khalsa College,Matunga, was organised. 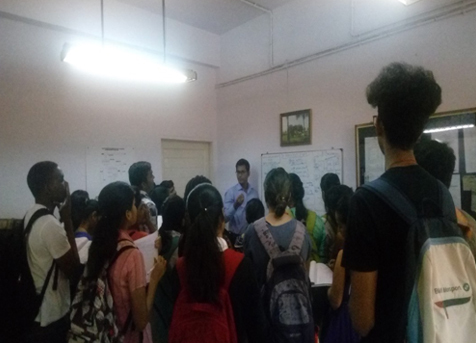 The visit was attended by Students of MSc-II Biotechnology and MSc I Bioinformatics, who were accompanied by faculty member Ms. Karishma Savardekar. The group was met by NFB In-charge Ms. Pratiksha Alag, and Instructors Ms. Shalmali Pendase and Mr. Vikas Jha. Ms. Pendase spoke to the students about ‘Mammalian Tissue Culture Technique’. She explained the concept of tissue culture and its various applications and scope in research. 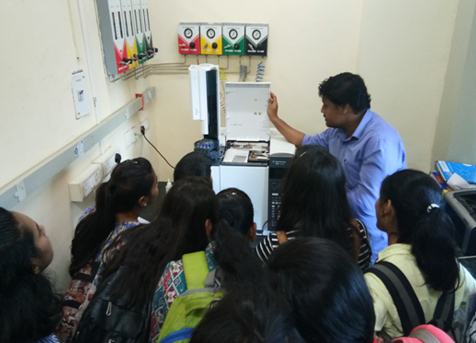 Following this session the group visited the labs and observed ATC practicals. 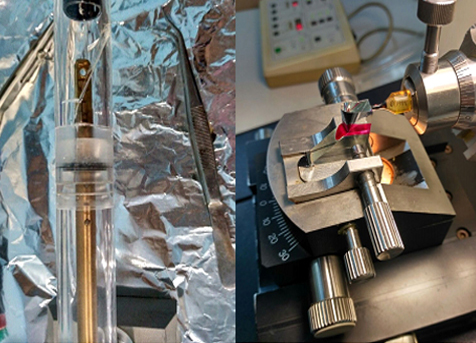 During the lab visits, Students were shown how to get Monolayer culture, and learnt about Cytotoxicity using MTT assay. The handling of ELISA plate and ELISA plate reader were also demonstrated. 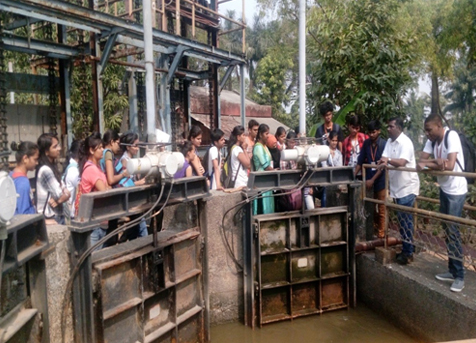 The group also visited other departments such as Molecular Biology, Microbiology (Bioprocess) of NFB, where they learnt about the various instruments used and the type of projects undertaken there. 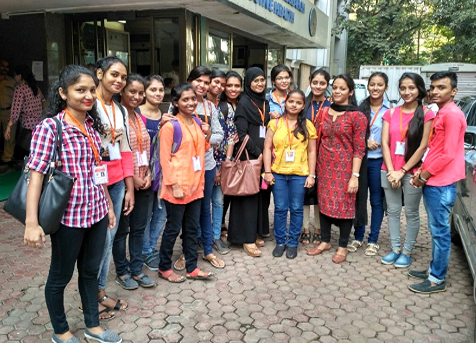 • On November 18, 2017, a one-day visit was organisedfor 15 MSc-I Biotechnology Students to National Institute for Research in Reproductive Health (NIRRH), Parel. The Students were ac-companied by faculty member Ms. Ekata Koyande. NIRRH is a Research institute of the Indian Council of Medical Research (ICMR). 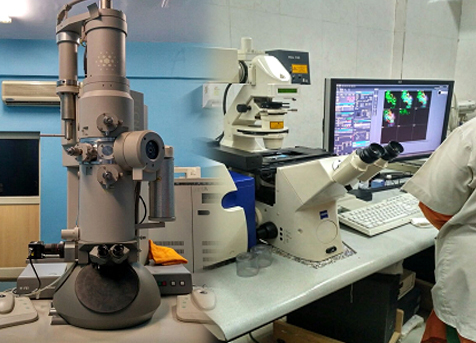 As the focus of the visit was gaining an in-depth knowledge of microscopy, Students were given informa-tion about the working, principle, image formation and difference between Fluorescence and Confocal microscope, along with Transmission electron microscopy. The Fluorescence and confocal microscopy were explained with the help of mouse testicular specimen labelled with three different fluorescent dyes. The image processing and 3-D image formation in Con-focal microscopy was demonstrated by using LSM Zen version software. 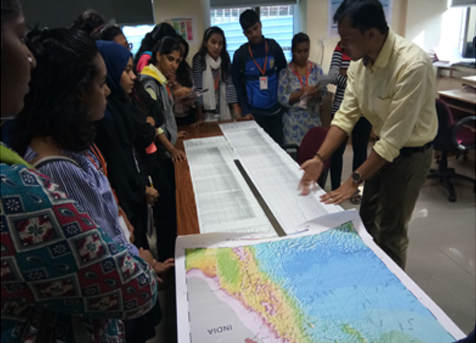 •On January 1, 2018, a one-day visit to the National Institute of Oceanography (NIO), Versova, Andheri, was organised for SY Students. They were accompanied by faculty member Mr. Pushkar Bhojane. The group was received by Dr. Abhay Phulke, Scientist at NIO, who gave an over-view of the Institute and its research. The Students were then given a display of the various types of ships used for oceanography studies. Following this, the group vi-sited labs such as Analytical Chemistry, Physical Chemistry, Instrumentation, Sample Preparation, Phytoplankton and Zooplankton labs. 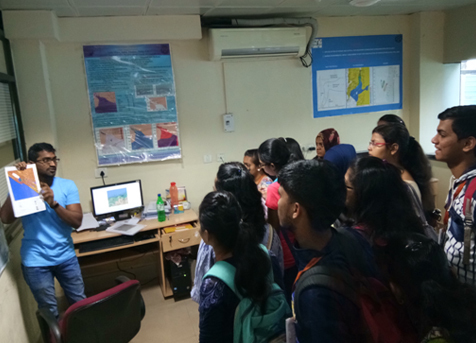 Students were also explained the processes of sample collection from oceans and their preparation, analysis and reporting. In addition, the Institute’s research scientists gave Students information regarding various instruments such as ICP-AES, flourometer, and CNS Analyser. At the end of the visit, videos regarding how research of various parameters of oceans is carried out, and how the oceans may be saved, were screened.